Do any of yall play soccer? I do (not on a team). But I play a lot. I support Arsenal! I play some with my friends. Mostly with the boys but not a particular team. Just when we feel like it. Yea Natacha!! Show those boys how it is done!!!! 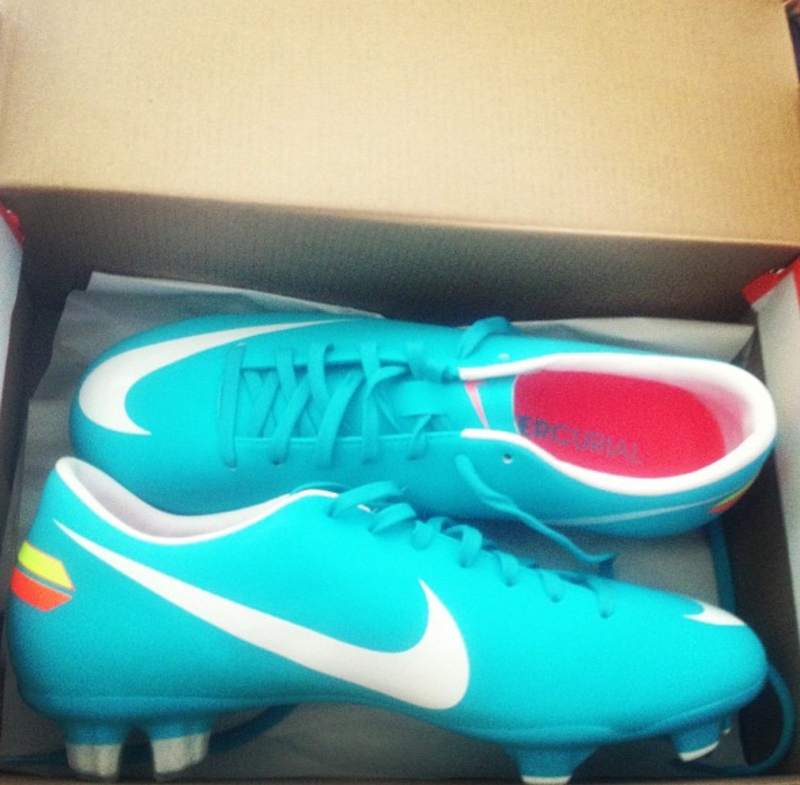 These cleats that Santa got me.... they are so beautiful. Can't wait to break them in!!! Used to play soccer on and off in recreational leagues since I was in middle school. In high school it was more of pick-up games every once in a while. Nowadays it's also just pick-up games and I may be doing soccer as part of a recreational intramural league. But I'm just okay at soccer, never really played it competitively as many that I've played with have.